A calorie-free ketchup that matches almost every dish. It does not contain calories, sugar, fat, gluten or lactose, and will help you reduce the amount of calories you enter without sacrificing the taste of your favorite food. 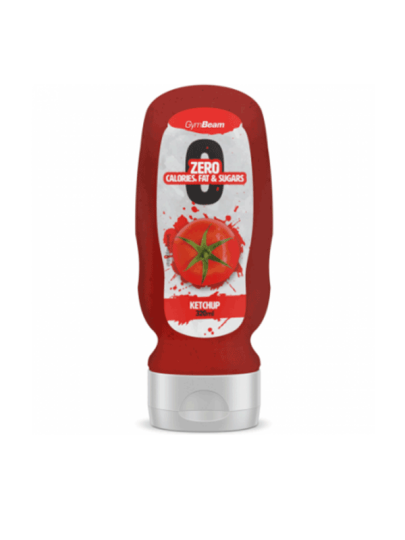 This ketchup sauce can be used as a sauce for any dish, whether it is chips or meat. Whether you are looking for calorie intake, diet, preparation for competition, or simply wanting to live healthier, this calorie-free sauce is the right choice for you. water, distilled vinegar, tomato concentrate (3%), vegetable fiber, stabilizer (xanthan gum), powder aroma, preservative (sodium benzoate), salt, sweetener (sucralose), red cabbage extract and color (Extract turmeric).